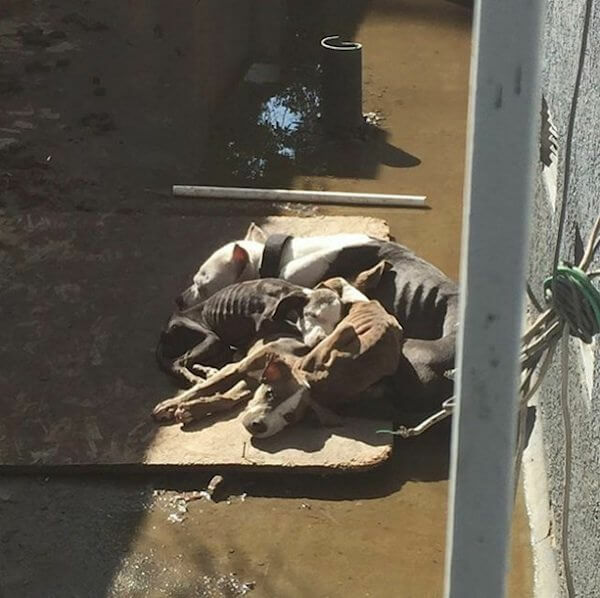 A disturbing photo of a starving dog and her four puppies posted on Facebook went viral after the woman who shared it wanted to make sure the emaciated dogs got justice. 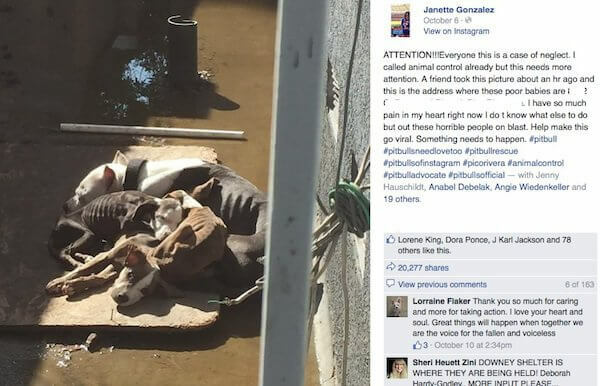 Janette Gonzalez shared the photo on social media after reporting it to authorities as a case of animal neglect. Her friend had taken the photo in a Pico Rivera, California neighborhood and shown it to her. Thankfully, animal control went to investigate the home soon after receiving her call and rescued the family of dogs. In fact, Janette says that animal control actually rescued 9 dogs from the home, including two German Shepherds and a Labrador Retriever. The dogs are currently being housed at Southeast Area Animal Control Authority in Downey, but animal control officials are not releasing much information on the status of the dogs while an investigation is underway. However, thanks to Janette and her friend, the dogs are in safe hands. It’s so important for people to act and bring to light animal abuse in their neighborhood, because if they don’t, dogs like the ones in this photo may not survive and get a second chance! Social media has a tremendous power to help neglected animals, but only if people speak out! Share this story with your family and friends!